Put simply it is a "three-part" approach to solving the crime problem. Crime Stoppers relies on cooperation between the public, the police, and the private sector to provide a flow of information about crime and criminals. Tipsters now have the option of providing tips using the P3Tips APP, webpage or toll free tip line. The process is completely secure, anonymous and easy. 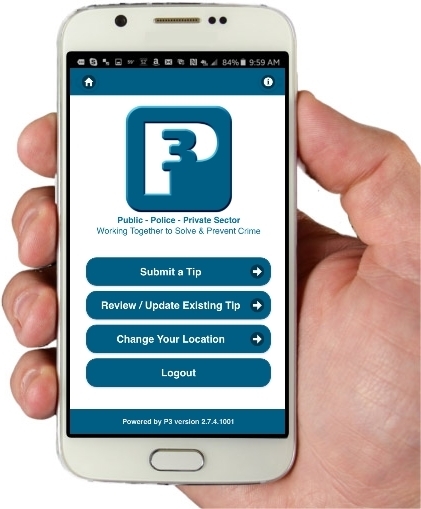 Simply download the App, visit P3TIPS.com, call 1-800-222-TIPS(8477) and submit a tip. Calls are received at the local Crime Stoppers tips line phone. 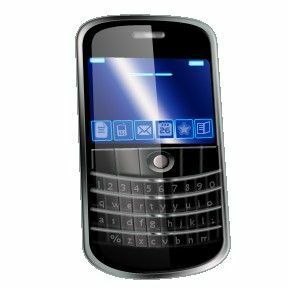 This phone is a stand alone instrument which does not provide caller ID, and conversations are not recorded. The Crime Stoppers staff member receiving the information (Pictured Above) completes the tip information form, makes initial inquiries and then passes the information to the investigating agency. Calls are accepted on any crime the caller has knowledge of. Tipsters now have the option of submitting tips online. The process is completely secure and anonymous. It is an effective and efficient means of safely communicating with us. The P3TIPS process is powered by the world's leading online tip solution provider, Anderson Software. The Two-Way Dialog capabilities allow the tipster to provide additional information to their tip at any time, but also provides a secure means for Crime Stoppers Staff to ask questions or provide reward information to the tipster through the same secure and encrypted interface. Now you can submit anonymous tips from our free and secure mobile app. Search your App Store for "P3 Tips". Please note that webtips are only checked during normal business hours. If a tip is time sensitive, please call Crime Stoppers at 1-800-222-8477 ( TIPS ). Callers are eligible for rewards up to $2,000, but, despite this, many callers choose not to collect their rewards. The answer is quite simply YES. Since the start of Crime Stoppers, many calls have been received resulting in thousands of arrests and recovery of millions of dollars in property and illegal drugs. Calls have included information about armed robbery, assaults, drugs, wildlife and fishing violations and firearm offenses.